While Middle-earth has places like the Shire or Rivendell that are nice places to kick up your feet and relax, there's also plenty of places where you need to make sure you have your sword, axe, or bow ready to defend yourself. In this preview from Journeys in Middle-earth, Fantasy Flight looks into how combat works in this new, upcoming board game. If there's one thing that people do in Middle-earth, it's go exploring while out on an adventure. They're just going from one place to another all the time. 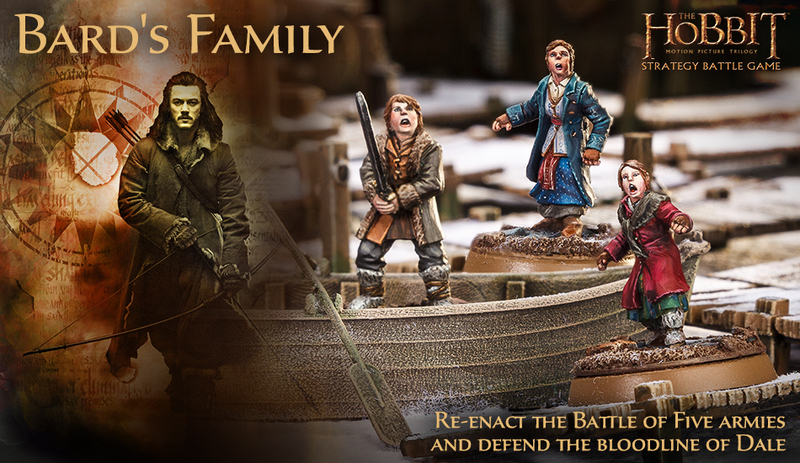 And in Journeys in Middle-earth, a new board game coming from Fantasy Flight, you'll be doing that as well. But, how will it work? In this preview, we learn just that. The forces of the evil Sauron are massing. The lands of Middle-earth are threatened by a great darkness. Only by banding together can the free peoples of the land stop these terrible plans. And that's just what you'll be doing in The Lord of the Rings: Journeys in Middle-earth, a new board game announced by Fantasy Flight Games. The glittering white city, Minas Tirith, has many who protect it from all foes. In this set, Húrin and Ingold can be added to your ranks. The forces of Mordor will have their work cut out for them when such stalwart warriors take the field. 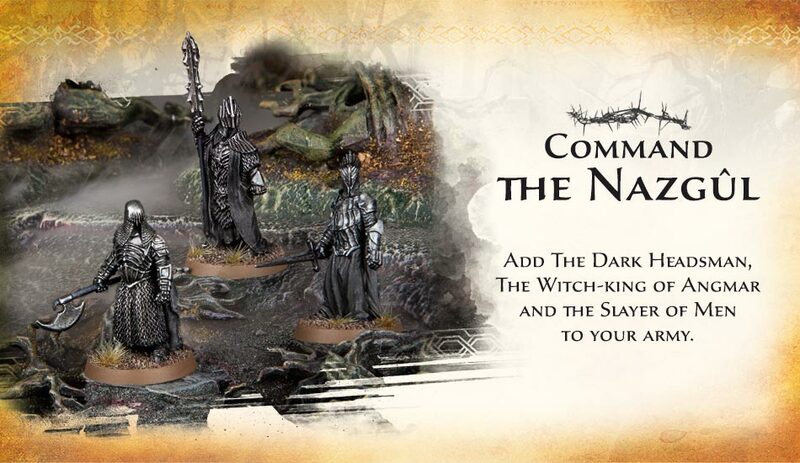 The Wardens of Gondor set includes 3 figures, and can be ordered now over on the Forge World site. While many might think of the orc armies as just mindless hordes rampaging across the countryside, they have leaders just like any other force. Forge World has released a new set for you Lord of the Rings players. They're Guritz and Gothmog's Enforcer. You can get your name on the list now, with sets being released next week. Goblins. They're everywhere. They're mean. They're nasty. They're coming after Frodo and the dwarves in The Hobbit. They're also available to order from Forge World. There's a Goblin Mercenary set you can pick up, or go all-out and get a whole Horde (goblins are certainly known for traveling in packs, after all). Two ends of the spectrum over on Forge World's ordering page this week. 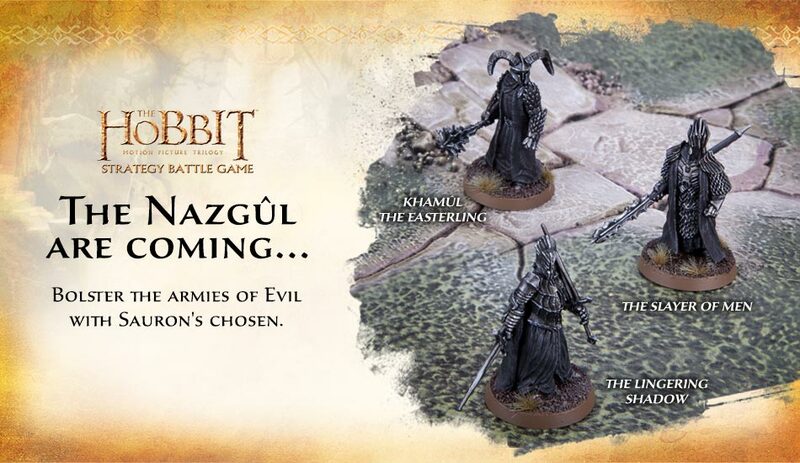 On one hand, you've got the next set of Nazgul figures for The Hobbit. On the other hand, you've got doors for Rhinos and Land Raiders for a whole bunch of different Space Marine chapters. The Nazgul are the elite of Sauron's fighting forces. They're his agents out in the land of Middle Earth, seeking out the One Ring, along with whatever nefarious plots Sauron's cooked up. You can now order a new trio of these deadly creatures from Forge World for your games of The Hobbit. Games Workshop's a little bit of all over with this week's set of pre-releases that you can order now. The biggest one is probably the new Blood Angels codex, as well as a bunch of units for them, including Primaris Marines with Blood Angels insignia. Second would be the Blood Bowl items, which includes a new Elf team, along with an Elf pitch, team cards, and other various and sundry. 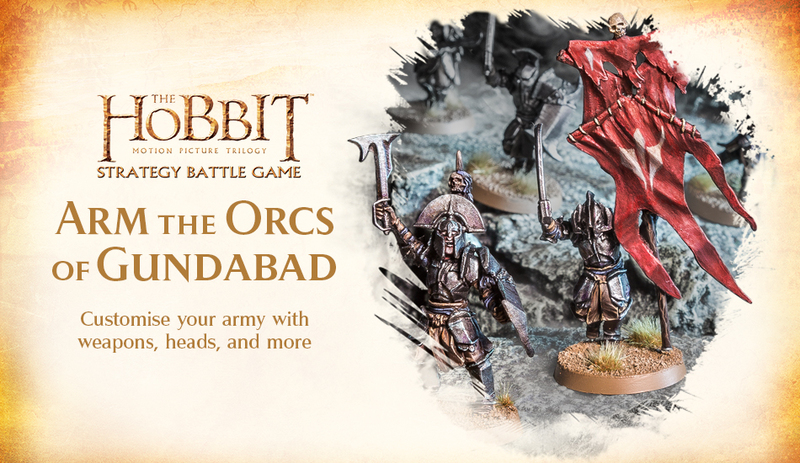 Finally, there's some new The Hobbit releases, including a Battle Companies book. Games Workshop is looking to be all-inclusive with this week's set of releases. There's new Nurgle releases for 40k. There's a bunch of new box sets for Age of Sigmar, as well as a campaign system. There's even a pair of Hobbit releases. Let's take a look.